Bottomless Closet works every day to make sure women in need have access to valuable tools and resources to enter the workforce and succeed. 98% of clients surveyed cited Bottomless Closet as a key factor in their success. Of the 41% who did not get that job, 50% got another job. working for longer than one year. 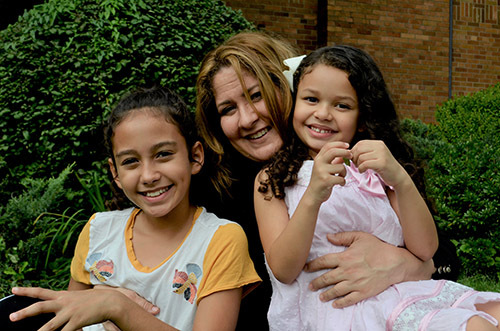 When Hurricane Maria hit Puerto Rico in the fall of 2017, Marianette, a single mom, hid with her two young daughters in the blackened out hallway of their home as the storm shook and cracked her concrete walls, took down trees, flooded her home, blew out windows in her neighborhood, and tossed their car around like a toy. “We opened the door and went outside, and it was like it was another place. It was like a bomb hit the ground and burned everything. There were no trees, there was nothing, it was totally devastated,” remembers Marianette. In the beginning, Marianette didn’t want to leave Puerto Rico. It was the only home she and her daughters had ever known. She had always worked two jobs, as an art teacher and an event planner. But with the schools closed due to conditions that were sickening the students, and no one planning special events, she couldn’t find work. Unable to pay their rent and struggling for food, Marianette made the decision to move to Florida. A friend of hers let them stay at her house until her landlord made them leave, at which point her friend’s sister invited them to stay with her in New York City. “I ended up getting hired by Mercy Drive. It’s a company that works with families that have people with disabilities, so I’m going to be a caseworker, so I’m going to be in contact with the family, and try to be the mediator with them and the proprietors so they can get all the help for the needs they have. And now I get to help other people with my job. I think at some point, you have to pay it back. And that’s really a good thing to do … and I want to do it,” said Marianette. Cristal’s journey from her first appointment at Bottomless Closet to where she is today is a true testament to the strength and resilience of our clients. The daughter of two hearing-impaired parents on public assistance for people with disabilities, Cristal lived in Section 8 Housing for a good majority of her life. Prior to finishing college, her mother was unable to cover the rent and in 2011, they were evicted from their home. 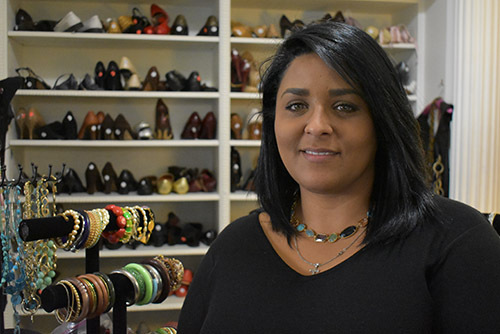 After connecting with Fedcap Rehabilitation Services, they referred Cristal to Bottomless Closet for her first appointment. 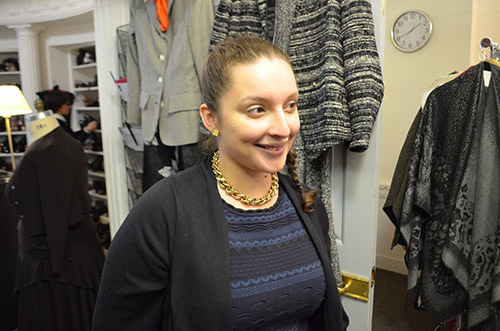 “I was amazed at the experience you feel when arriving at the boutique,” recalls Cristal. 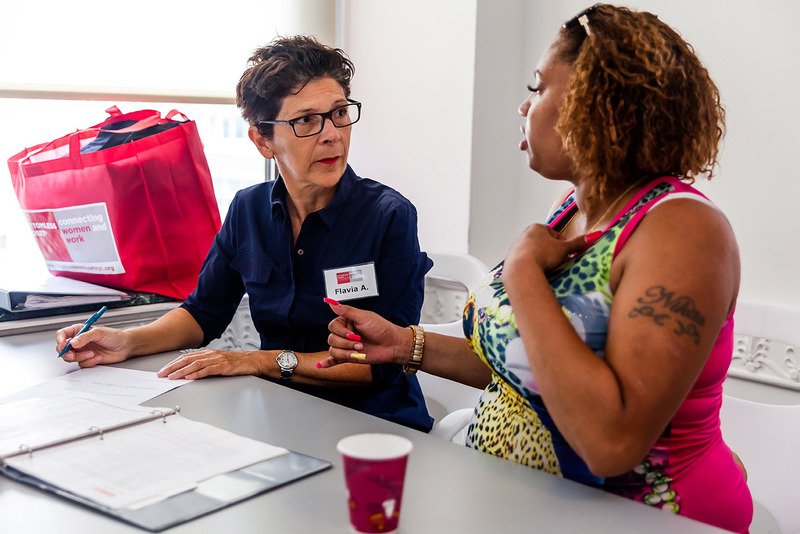 In addition to receiving interview clothing, Cristal was able to polish her resume and prep for her interview with one of our volunteer Career Coaches. She quickly obtained employment and was able to take advantage of the resources that both Fedcap and Bottomless Closet were able to provide. Since visiting Bottomless Closet, Cristal says she has felt more empowered. “It’s not just a place where you receive clothing. Things ultimately came full-circle for Cristal, as the agency that referred her to Bottomless Closet offered her a full-time job. 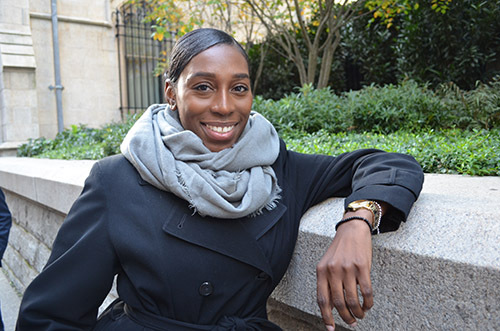 She now works in Fedcap’s WeCARE Program, where she focuses on assisting those who were once in her position, and referring new clients to Bottomless Closet. Cristal helps provide her clients with various employment services including job preparation and job development. Fluent in American Sign Language, she is also able to assist Fedcap’s hearing-impaired clients. 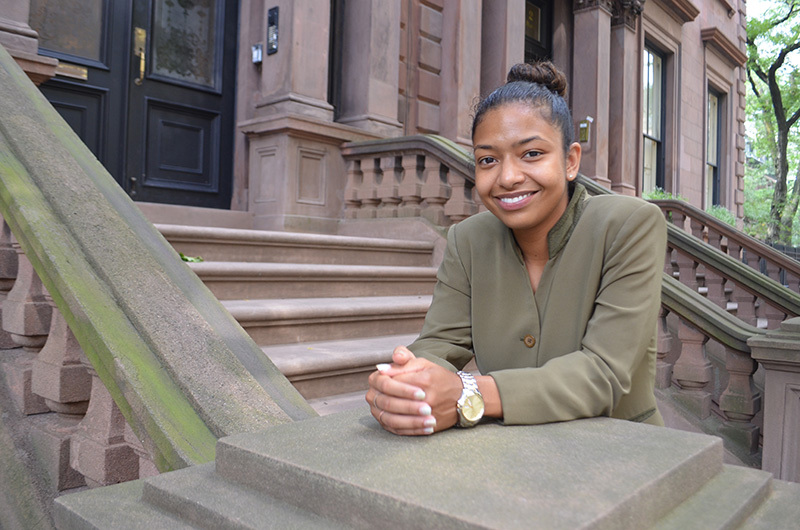 Stephanie is starting her career in the same place where she started her education – the very same elementary school in Queens that she attended as a kid. On top of her new job, Stephanie is also going to school for social work – she is currently half-way through her Bachelors for Human Services. 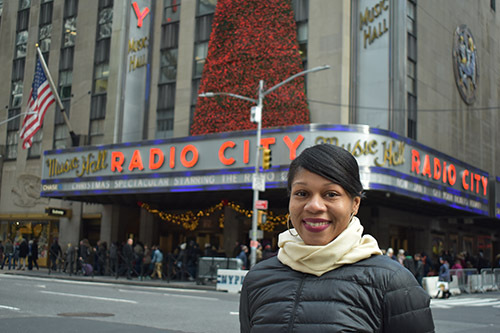 Taieisha has been dancing since she was a kid, and soon she will be dancing (well, walking) down the aisle of an airplane as a brand new flight attendant for a major airline. After completing a month of training in Minneapolis, she will be flying the friendly skies. The fall of 2017 was incredibly difficult for Cricely. 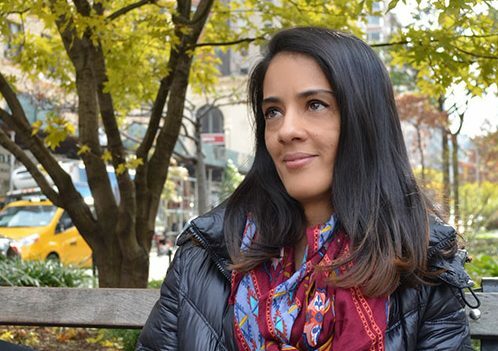 “I came here from Puerto Rico on October 15. I was born and raised here in New York, but when I was 14 I moved to Puerto Rico with my mother, so she could take care of my grandfather, and eventually we ended up staying there. I was there for 20 years. And then Hurricane Maria happened. As it turns out, her hunch was pretty accurate. “The next day, it was so bad. Two days after the hurricane, going to the supermarket, getting stuff, it was horrible. The lines were three or four hours, and then they would only let you buy certain stuff – one loaf of bread, one pack of bottled water. If you didn’t gas up before Maria, you’d have to sleep at the gas station the night before in order to get gas by 5 o’clock the next afternoon. The lines took that long. It was scary. There was no water to flush the toilets. You’d expect that they’d have water, but they didn’t. No clean drinking water. I actually took a couple of showers in the rain,” she recalls. Before the hurricane, Cricely made a living as a seamstress and a custom tailor. “I would do custom designs and patterns; I was a clothing designer. 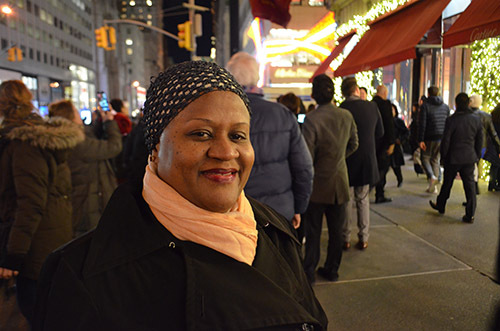 But there’s no economy there for that right now.” This week, Cricely is starting her new job as an elevator operator for an intergovernmental organization, working with the building’s security team. As for the future, Cricely says she would love to go back to school and get her Bachelor’s degree, and eventually start her own plus-size clothing line. 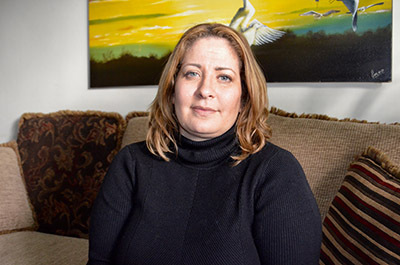 Mireille lost her job two months ago, at a time when her house was in complete chaos. Not only had she been working very long hours at her last job, but she was also selflessly collecting donations of clothing and other items for children in Haiti, and organizing them in her tiny studio apartment – something she still does. She says she felt an instant pick-me-up during her appointment. “I think that what you people are doing at Bottomless Closet is fantastic. Your volunteer coached me and she kind of perked up my trust in myself. She dressed me like a very professional person,” Mireille says. Now that she is working again, she hopes to package up more donations to send to children in Haiti very soon. Roselyn’s personal hero is her mother. “She raised four children by herself, working two jobs as an assistant teacher,” she says, beaming.